The Star & Garter, sat on the water's edge of Falmouth harbour offers three beautiful apartments. Marrying the heritage nautical theme of the pub below, the Penthouse, Crow's Nest and Starboard all have huge bay windows with sweeping views of the harbour. 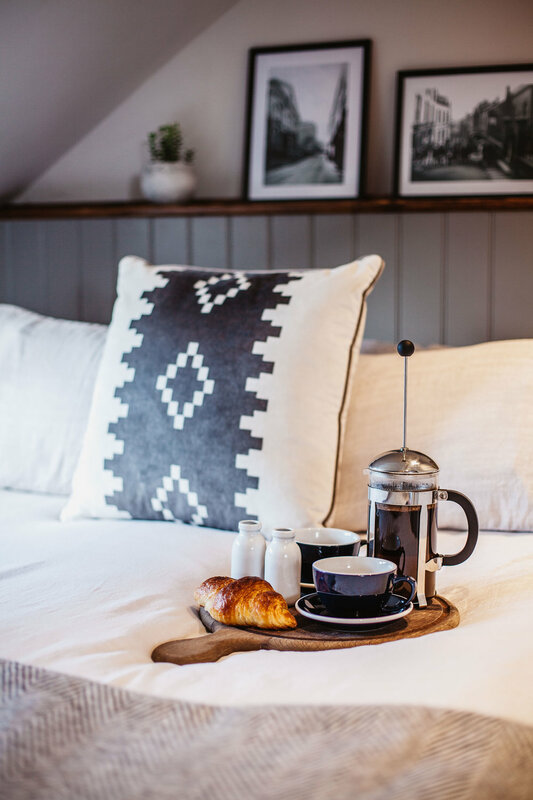 Guests can now enjoy the full Star & Garter experience, and that could mean waking up and nipping downstairs after a good night's sleep for a coffee or even a cheeky Bloody Mary, before enjoying a leisurely three course lunch in the restaurant. Or it could just mean an afternoon in front of the pub fire with a good book, a cheeseboard and a bottle of wine before heading back upstairs and using the open plan kitchens to cook up a feast of your own. 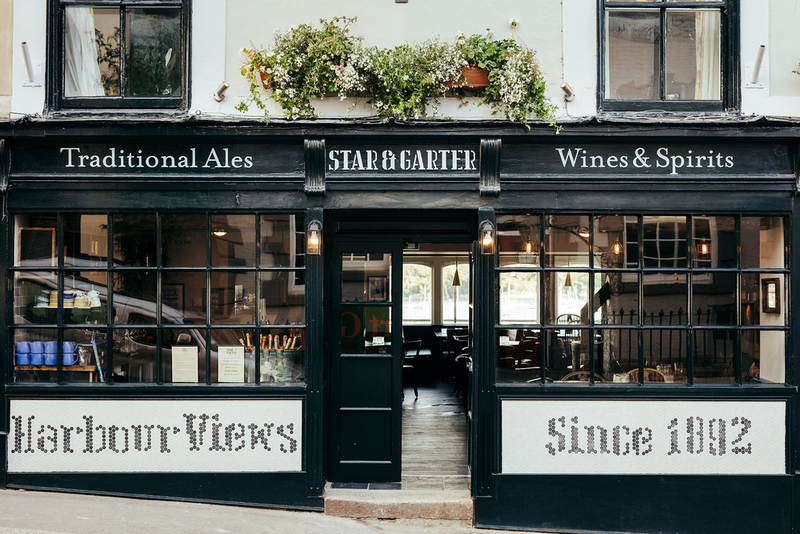 Whatever it is you fancy doing with your time in Falmouth, we hope to see you at the Star & Garter soon! Sunday lunch is sacrosanct. That's why, here at the Star & Garter, we take it extremely seriously indeed. Whether it’s moorland aged rump of beef, a luscious leg of lamb or some proper roast pork with the best crackling you can imagine, all our meat is supplied by renowned Cornish butcher Phillip Warren and served with crispy duck fat roasties, monster Yorkies, silky gravy and a selection of local, seasonal veg. So come in and while away the afternoon in front of the fire, enjoy the view over the bay and, well, tuck in. Our roast is served 12-3pm and 6pm - 9pm.